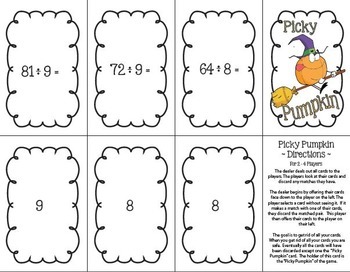 A Picky Pumpkin card game is perfect for Fall Fun! 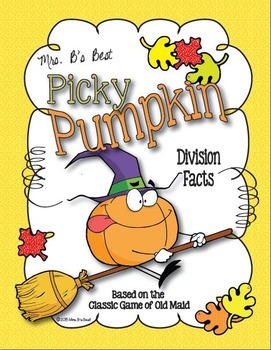 This fun card allows students to practice their division facts in the classic ‘Old Maid’ game format. 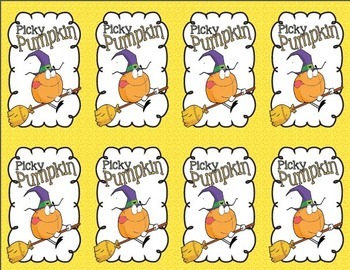 In addition, the cards could be used to play the classic game of “Concentration”--just remove the “Picky Pumpkin” card. • 27 pairs of cards. I Have, BOOOO! Has? Rounding Decimals to the Nearest Whole Number. 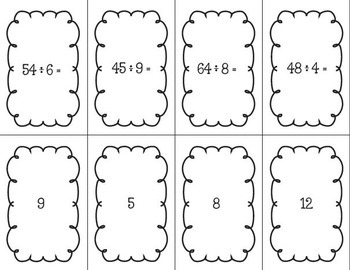 Silly Scarecrow Card Game: Improper Fractions and Mixed Numbers. Get to Know Mrs. B! • To receive email updates when new products are added, look for the green star next to my store logo and click it to become a follower. • Like her on Facebook. • Follow her on Twitter. • Follow her on Pinterest. • Follow her on Instagram.